This webinar was live broadcast on February 12, 2019. You are purchasing a recording. You have 30 days from purchase date to download. With over 20 millions abdominal surgeries being performed annually and most often with minimal follow up care being prescribed the fitness pro is the first professional a client will see post surgery. This situation presents a great opportunity for the well informed professional. 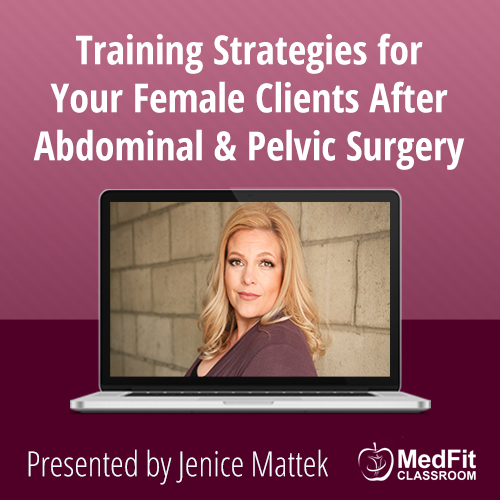 In this webinar Jenice Mattek, Co-author of What Lies Beneath: The Under-realized Effects of Breast, Abdominal and Pelvic Surgeries, shares the Post-Surgery Cycle which is a ongoing cycle your client will go through post surgery. Without intervention the client can experience a life-time of chronic tightness, pain and more. Join Jenice for this webinar and discover the common postural and movement compensations your clients will present with post surgery and how you as a fitness professional can be an essential part of their health care team. 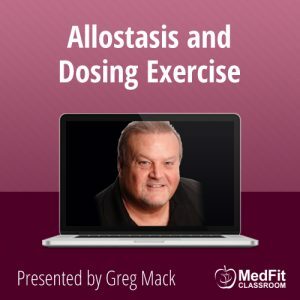 The recording of this webinar is available for FREE FOR MedFit Network (MFN) professional members. Active MFN members should CLICK HERE & log in to your MFN account; instructions for accessing past webinars is available on your MFN account dashboard. Jenice Mattek, Co-author of What Lies Beneath: The Under-Realized Effects of Breast, Abdominal and Pelvic Surgeries,specializes in educating and treating women post-surgery. Jenice is a Licensed Clinical Massage Therapist, Occupational Therapy Assistant and an Integrative Movement Specialist. 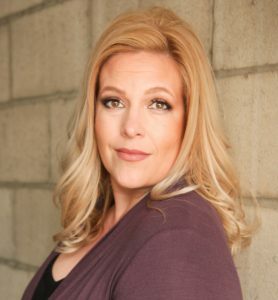 Utilizing her 20+ year background in occupational therapy, massage therapy and fitness, Jenice addresses the needs and wants of women after surgeries like hysterectomy, Cesarean, mastectomy and more. Jenice’s mission is to create awareness of the impact these surgeries have on the body like chronic musculoskeletal tightness, pain, or digestive issues, educate women on these effects and through education and treatment, empower them to take control of these symptoms, their health care and their bodies so they can successfully return to the activities of life that they need, want and love to do. Jenice is now spreading and creating awareness of these post-surgery symptoms by teaching other health and fitness professionals working with women post-surgery so they too, can educate and empower more women to take control of their bodies and health care choices. Jenice currently practices in Chicago along with her husband Dr. Evan Osar and their team at Chicago Integrative Movement Specialists. 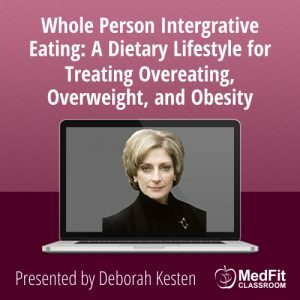 When she is not working with clients in her practice, she can also be found speaking on this topic at fitness and massage therapy conferences.